“Between 60 and 100 civilians were killed in the latest attack earlier this week,” Stephane Dujarric, a spokesman for the U.N. chief, told reporters. “The U.N. Office for the Coordination of Humanitarian Affairs [OCHA] says some 30,000 people have fled to Cameroon from Nigeria’s northeast town of Rann, with thousands of others seeking refuge in the areas of Ngala and Maiduguri following repeated attacks by armed groups,” he added. Rann sits in northeastern Nigeria’s Borno State, the birthplace of Boko Haram, a terrorist group waging an insurgency since 2009 to establish an Islamic emirate in and around the African country, the most populous on the continent. With more 250,000 children, women and men already uprooted from northeast Nigeria, surging militant attacks are targeting civilians and forcing thousands more to run for their lives each day. Young girls, old women, and aid workers continue to bear the brunt of this escalating violence. A recent upsurge in violence in north-east Nigeria has driven more than 80,000 civilians to seek refuge in already crowded camps or in towns in Borno State, where they are surviving in tough living conditions. Over last weekend alone, Boko Haram forced an estimated 30,000 to leave their homes in Rann and seek refuge in impoverished communities across the border in Cameroon, the U.N. agency reiterated. 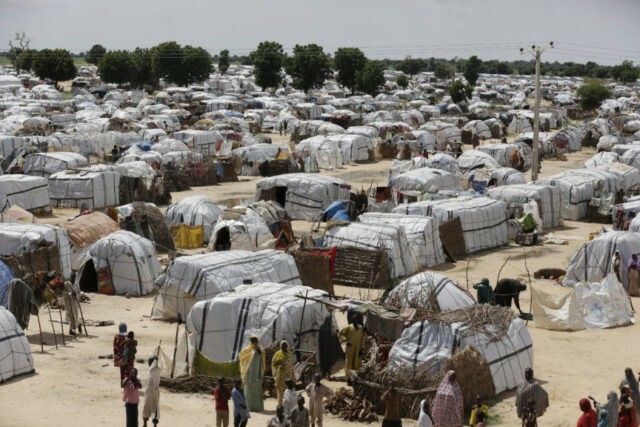 On Tuesday, the U.N. refugee agency (UNHCR) in coordination with other components of the international body launched the 2019 Nigeria Regional Refugee Response Plan (RRRP), which is seeking $135 million to help the hundreds of thousands of people across the Lake Chad Basin region, displaced by the “worsening” Boko Haram violence. The UN and its partners are also seeking $848 million to continue providing food, water, shelter and protection to the most vulnerable people in Nigeria, as part of the 2019-2021 Humanitarian Response Strategy for the country, which is simultaneously launched today in Abuja. Since Boko Haram’s uprising in 2009, the jihadi group has displaced about 2.5 million in the Lake Chad Basin region including over 1.8 million within Nigeria, according to the U.N. Although the Nigerian military has regained control in parts of the country’s north-east, civilians in Nigeria, Cameroon, Chad, and Niger continue to be affected by grave violations of human rights, widespread sexual and gender-based violence, forced recruitment and suicide bombings. The Amnesty International human rights group noted that thousands of Nigerian refugees began fleeing into Cameroon several weeks ago when Boko Haram launched a devastating attack on the city of Rann on January 14. At the time, the city was housing “thousands” of civilians internally displaced by the Boko Haram conflict, Amnesty International noted.